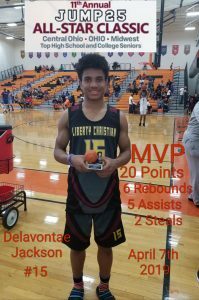 Congratulations to Delavontae Jackson for winning the MVP in the 11th Annual Jump 25 All-Star Classic, featuring the top high school players in Ohio and the Midwest. 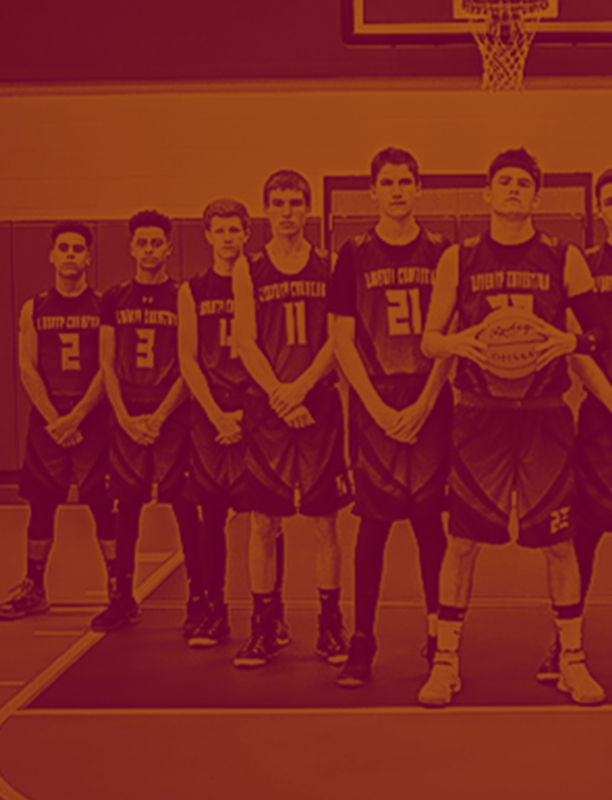 During the game, Jackson donned the Eagles jersey as he proudly represented Liberty Christian Academy. 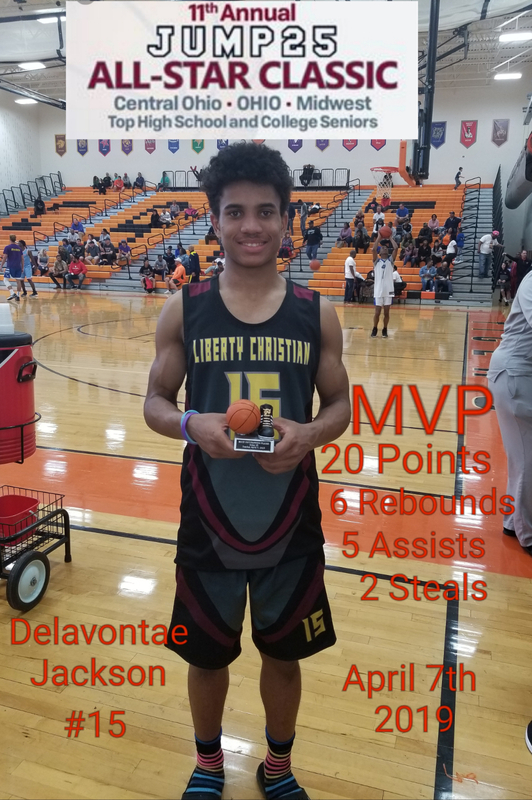 Delavontae finished the game with 20 points, 6 rebounds, 5 assists, and 2 steals.